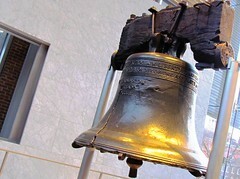 The Liberty Bell is an iconic symbol of American Independence. 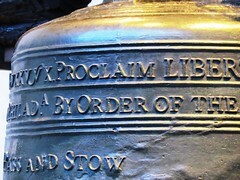 Formerly placed in the steeple of the Pennsylvania State House, it cracked when first rung after arrival in Philadelphia. In its early years, the Liberty Bell was used to summon lawmakers to legislative sessions and alert citizens to public meetings and proclamations. The walk-through exhibition is full of fantastic and very accessible historical trivia. And the bell is a classic Philly photo op. Go early in the morning for shorter lines.